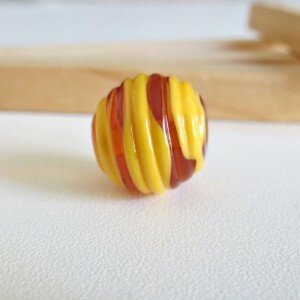 Glass Lampwork Beads, Round Yellow-Brown, 20 mm. 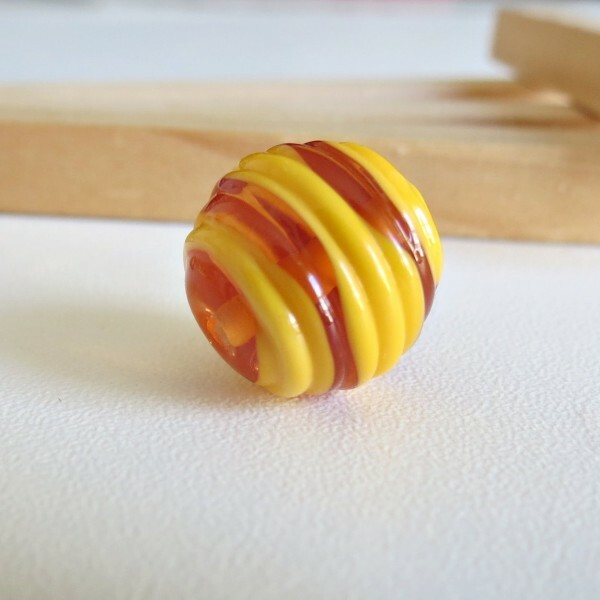 > Lampwork beads>Glass Lampwork Beads, Round Yellow-Brown, 15 mm. 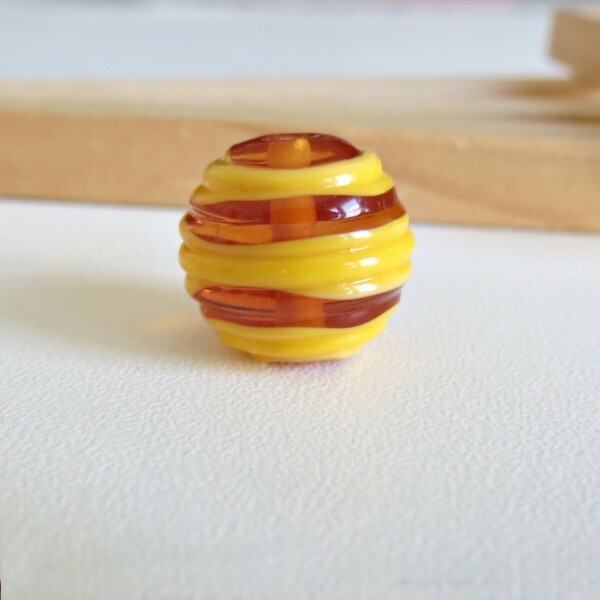 Glass Lampwork Beads, Round Yellow-Brown, 15 mm. Handmade round lampwork bead with relief stripes. Stripes are yellow and topaz brown. 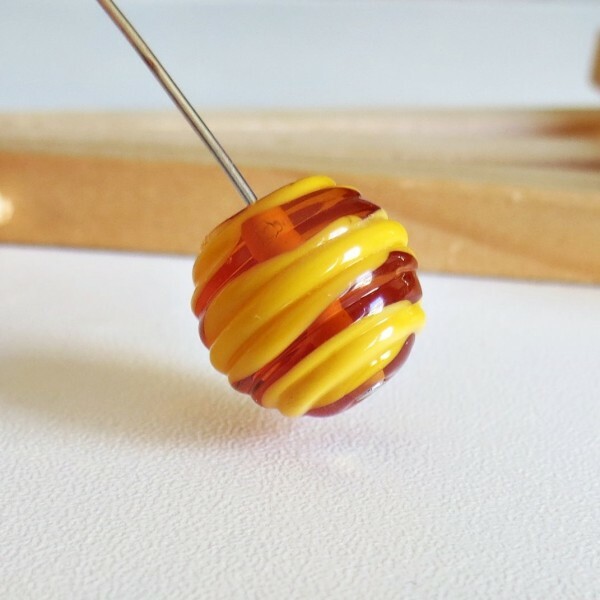 Every bead makes by hand so size could vary a bit.